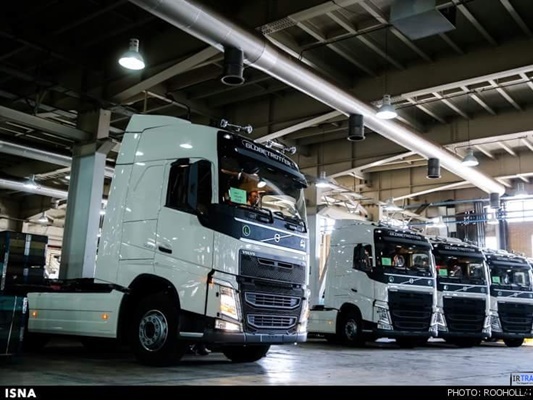 The head of Swedish trade delegation to Iran announced that Scania and Volvo, giant Swedish car manufacturers, will establish their production lines inside the Islamic Republic. Helena Berg, the head of Sweden’s economic, industrial and commercial delegation to Iran, announced that Scania and Volvo, two well-known Swedish automotive industry manufacturers, will establish their full production lines in Iran. “Sweden has come up with long-term plans to cooperate with Iran,” she said during a meeting between the Swedish delegation and a number of Iranian officials. “Many Swedish companies are willing to collaborate with their counterparts in Iran,” she added. The Swedish delegation visiting Iran is headed by Sweden’s Prime Minister Stefan Löfven, who is making a historic visit, the first of its kind by a Swedish leader since the establishment of bilateral ties with Iran.